Chris Clark is one of the best faces of Christian Comedy, of this era. A true Renaissance man, he shines as a talented actor, singer/songwriter, playwright, radio host, as well as a stand-up comedian. Chris has charmed audiences all over the country from California to New York, and everywhere in between, and now he has become a internationally known comedian. 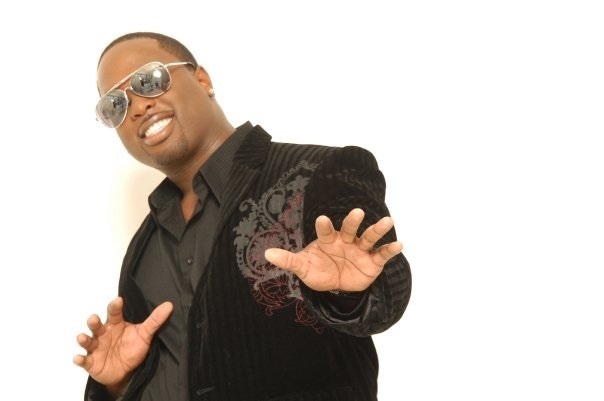 Chris is the winner of the 2009 RESA MITCHELL AWARD for Gospel Comedian of the Year. Chris was also honored as the 2015 ENTERTAINER OF THE YEAR by VAACDC. He is the writer, producer, and director of the new hit Gospel Stage Play "Mr. Steal Kill & Destroy". His stage presence and winning personality always leaves the crowd wanting more. 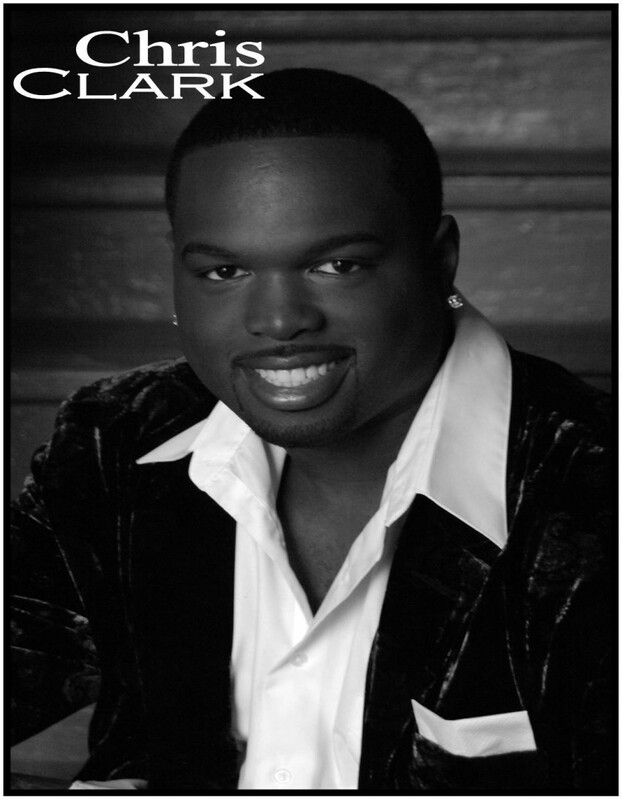 Chris Clark performed for Abundant Life Fellowship Church last night. He gave a great performance for a sold out crowd. They loved him! Wonderful job, Chris! Lots of great joke. Very relatable. Good clean family friendly entertainment. With jokes, singing, and more. Be prepared to be entertained. Chris Clark is one of the best faces of Christian Comedy, of this era. A true Renaissance man, in addition to being a husband and father of three, Chris shines as a talented actor, singer/songwriter, playwriter, as well as a stand-up comedian. 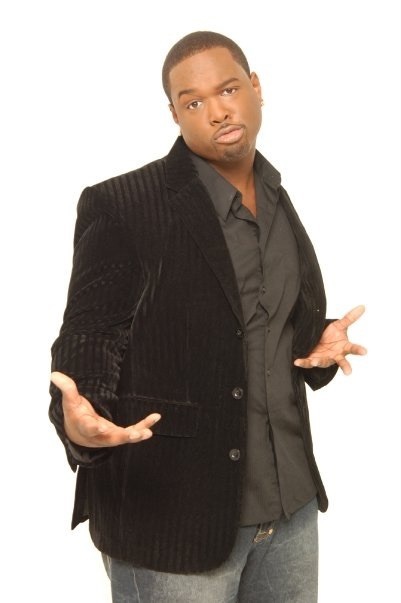 Born and raised in Bridgeton, NJ, Chris has charmed audiences all over the country from California to New York, and everywhere in between, and now he has become a internationally known comedian. Chris' phenomenal talent's has allowed him to share the stages with Patty Labelle, Vanessa Bell Armstrong, the late Albertina Walker, Donnie McClurkin, Shirley Murdock, Hezekiah Walker, Melvin Williams, DeWayne Woods, Vickie Winans, Tye Tribbett, and Smokie Norful, to name a few. 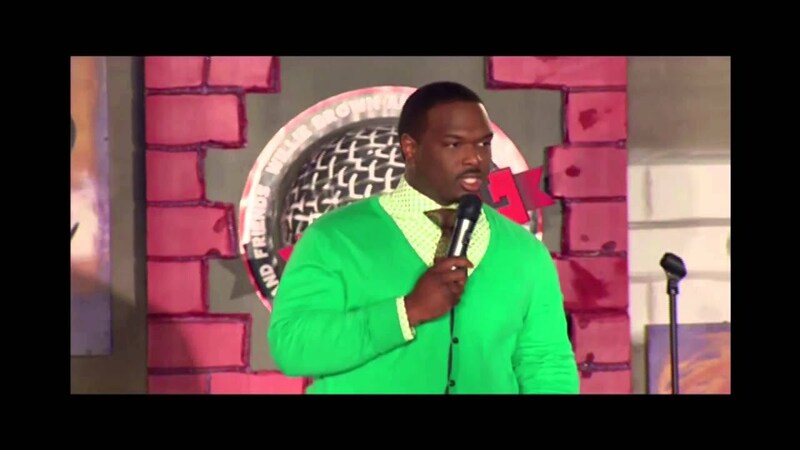 Chris' love for the stage began as a actor in several Gospel dramas and comedies. His multiple role performances would draw the crowd and leave them in stitches. His transition from theatre to stand-up was about as natural as his gift to entertain. Chris' comedy includes everything from his often humorous upbringing in the church to his laughable opinions about church folk. 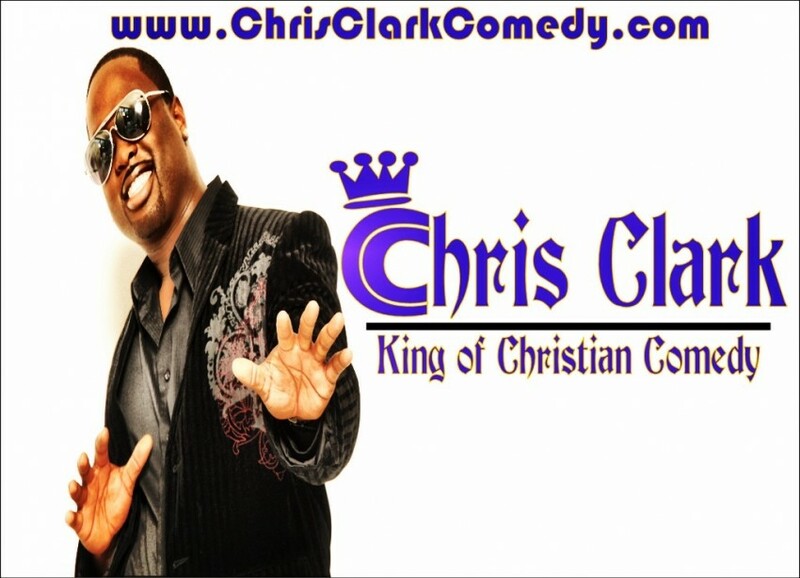 Chris is a graduate of John Casablanca's Modeling and Acting School and is also the winner of the 2009 RESA MITCHELL AWARD for Gospel Comedian of the Year. January 2015, Chris was honored as "Entertainer of the Year"at the Dr. King Celebration in NJ. Chris is the writer and director of the new hit gospel the ply entitled "Mr. Steal Kill & Destroy". He's a member of Bethany Baptist Church, Lindenwold ,NJ, where he serves under his pastor, Bishop David G. Evans. Chris' comical stage presences and winning personality always leaves the audiences wanting more every time he performs. "A merry heart doeth good like medicine; but a broken spirit drieth the bones"
4. Sponsor agrees to furnish at its own expense on the date and at the time of the performance herein all that is reasonable and necessary for the proper presentation of each performance, including, but not limited to, a suitable, hall, or auditorium with proper lighting, a working sound system in good working condition. 5. Performer agrees that Sponsor may use Performer’s name, pictures, photographs, and other likenesses in connection with advertising and publicizing the engagement (s) hereunder, but only with prior approval of Performer and when Performer has received deposit and contract. The Parties agree that such prior approval has been granted to the Sponsor. Sponsor’s right to use Performer’s name, pictures, photographs and other likenesses as set forth in this paragraph shall begin with the execution of this agreement and shall end upon the earlier of the date of cancellation of engagement or upon completion thereof. 6. Performer shall have the exclusive right to sell Performer’s records, photographs, programs and other type of Performer’s merchandise on the premises of the place of performance without any participation in the proceeds by Sponsor. 7. No portion of any performance hereunder may be recorded, filmed, taped, or reproduced in any form whatsoever unless Performer’s prior written consent is obtained. No interviews will be arranged without Performer’s prior approval. 8. Sponsor recognizes and acknowledges that certain circumstances beyond Performer’s control may cause Performer to be unable to meet his obligations under this Agreement. As such, in the event that Performer is unable to perform his obligations under this Agreement due to Performer’s certifiable illness or injury, or any accident, Act of God, or any riots, strikes, labor difficulties, epidemics, governmental regulation of other force majeure occurrence, Performer shall be relieved of his obligations under this Agreement and shall be required to return the deposit previously paid by Sponsor. 9. Not withstanding anything contained herein, if the performances required by this Agreement called for herein are prevented by cancellation on Sponsors behalf, Performer shall be relieved of his obligations under this Agreement and shall be entitled to keep the deposit previously paid by the Sponsor. Or an agreement can be made, to use the deposit towards a rescheduled performance. 10. Each of the terms and conditions hereof is of the essence of this Agreement and necessary for Performer’s full performance hereunder. Those obligations of Sponsor which are to be performed hereunder prior to any performance of Performer are conditions precedent which must be performed in full by Sponsor (unless waived in writing by Performer) before Performer is required to perform hereunder. In the event Sponsor fails to make promptly, at the times provided herein, any payment due Performer hereunder, or cancels or postpones the engagement hereunder for any reason (except for a force majeure occurrence as set forth in paragraphs 8 and 9 above) without Performer’s prior written consent, Sponsor shall be deemed to have substantially and materially breached this agreement, relieving Performer, of all obligations hereunder. In the event of any material breach by Sponsor, in addition to any other rights or remedies Performer may have, all deposits in Performer’s possession shall be retained for Performer’s own account and benefit. 11. All notices required hereunder shall be given in writing at the addresses set forth above. This Agreement may not be changed or modified party by any party except in a writing signed by the parties and neither party may assign this Agreement without the prior written consent of the other. This agreement shall be constructed in accordance with the laws of this State of New Jersey and the Parties hereby agree to submit to the jurisdiction of the courts of the State of New Jersey. Nothing contained in this agreement shall be construed to constitute the parties as a partnership or joint venture, and Performer shall not be liable in whole or in part for any obligation that may be incurred by Sponsor in carrying out any of the provisions hereof, or otherwise. The person executing this Agreement respectively on Sponsor’s and Performer’s behalf hereby warrants his or her authority to do so. 12. The Parties agree that if any musicians or other individuals participate, in any manner, in Performer’s performance required under this Agreement, the Performer, and not the Sponsor, shall be solely and exclusively responsible for paying any and all of their fees and expenses.